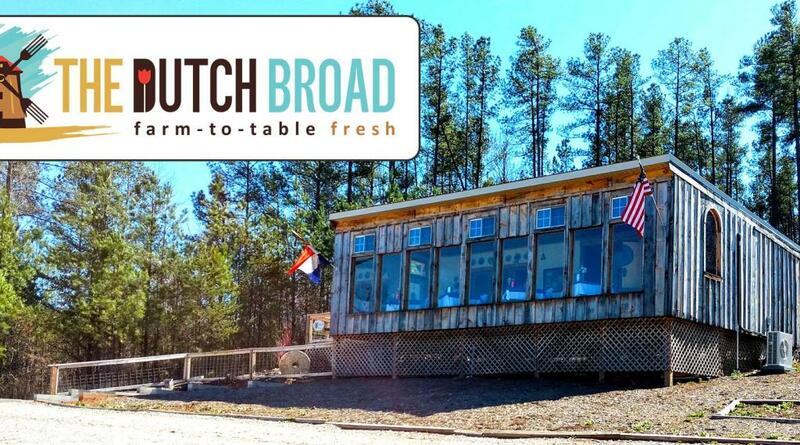 The Dutch Broad is operated entirely off-grid and solar-powered and is the only dining facility of its kind. It includes a full commercial, industrial kitchen, with a dining room framed by a full wall of windows overlooking the gardens, greenhouse and Broad River. We unite farm-grown vegetables and humanely locally raised animals with creative culinary skills in a breathtaking setting. The food is beautifully presented, deeply flavored and simply delicious. The Dutch Broad is located on White Turtle Farm near Cliffside, NC, 20 minutes from Shelby, NC, and one hour from Greenville, SC, Charlotte, NC and Asheville, NC. White Turtle Farm is a modern family farm using sustainable and organic small-scale practices.